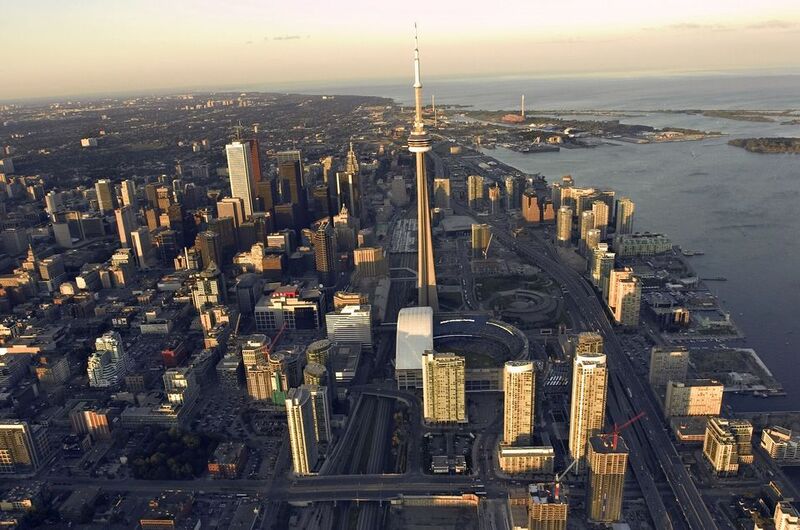 Toronto is a bustling, multicultural metropolis with exceptional restaurants, hotels, shopping, and theater. However, consider balancing a hectic Toronto itinerary with nearby communities that are big on small-town charm. These small towns convey the unique aspects of Ontario's history and character, giving visitors to the region a fuller Canadian experience. The largest community in the lovely, agricultural region of Prince Edward County, Picton is one of those Ontario towns with a great main drag meant to meander within. Allow a day to stroll and discover the many shops, such as City Revival, a giant consignment store with designer labels, or grab a coffee at Miss Lily's and peruse the books next door at Books and Company—how a bookstore was meant to be: with a real live cat, a great second-hand section, and comfy chairs. Prince Edward County as a whole is famous for its wineries & vineyards, local agricultural fare (hit the Taste Trail), arts & crafts (hit the Arts Trail), Sandbanks Provincial Park right on the beach, and plenty of cycling trails. Distance From Toronto: 215 km (134 mi) or 2 ½ hours by car. Public Transportation: GO Train from Toronto to Belleville, which is 30 minutes from Picton, but having a car to visit Prince Edward County is ideal. Nearby: Kingston, a historic city and Canada's original capital, is an hour away. For as much as Niagara Falls is grand, brazen and chintzy, Niagara-on-the-Lake is charming, elegant and tasteful. Famous especially for its annual Shaw Theatre Festival, Niagara-on-the-Lake boasts an alluring main street and is surrounded by exquisitely gentrified heritage homes and gardens and wineries. The area is also known as a golf destination and has several excellent courses close by. Niagara-on-the-Lake is more of a B&B kind of place, rather than ​a big hotel chain, in keeping with its historic character. Leave the Holiday Inn behind and try one of the town's many charming smaller scale accommodations. Distance From Toronto: 130 km (81 mi) or 1½ hour by car. Public Transportation: Seasonal GO Train service, lots of busses, and shuttles. The town of Dundas is a quiet little find, beloved by its residents who are increasingly people from Toronto making the switch to more affordable housing and green space outside the big city. Technically part of Hamilton, Dundas has retained a separate identity in part because of its geographical location in a valley, safeguarded by an abundance of conservation areas, including a wealth of trails and waterfalls. The town of about 20,000 has dodged the sprawl bullet, maintaining a vibrant main drag that features longstanding restaurants, boutiques, and businesses with well-preserved 19th-century architecture. It's the kind of Main street where drivers just stop to let pedestrians cross. A wave, a smile and everyone's on their way. Don't miss the Dundas Museum and Archives located on one of Dundas' most sublime residential streets. Quatrefoil is the town's five-star dining pride and joy. Public Transportation: Closest GO Train is Aldershot or Hamilton - 15 - 20 minutes away. Just over an hour from Toronto, the lakeside community of Port Hope has the best-preserved 19th-century streetscape in Ontario. In fact, 300 buildings are heritage-designated giving the town the highest per capita rate of preservation in Canada and a unique, historic charm best enjoyed on foot. If you are making your way leisurely to Montreal or Kingston, Port Hope is a great place to stop for a break or even overnight. The well preserved ​Waddell Hotel, built in 1845, sits right on the main drag overlooking the Ganaraska River. Public Transportation: GO Train to Port Hope station. The town of Elora and nearby Elmira and Fergus offer up small-town Ontario at its best. Famous for its 19th-century limestone architecture, Elora has maintained the Elora Quarry Conservation Area as a swimming spot. The town is perched prettily on the Grand River and the Elora Gorge. This quaint village is noted for its interesting shops, country inns, and B&Bs. Things to Do: Shop, tube down the Grand River, hike, Fergus Scottish Festival, Elora Festival, Elora-Fergus Artist Studio Tour.